Refurbished ND Merci Boxcar under new shelter in Bismarck. John L. Jacobsen photo. 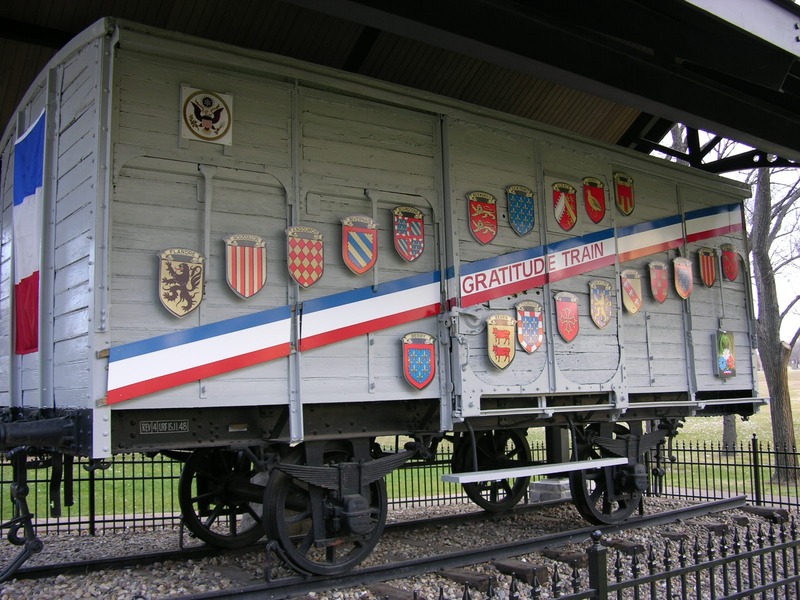 On November 15, 2005, the North Dakota Merci Boxcar was rededicated with a protective shelter to protect it from the harsh ND winters. 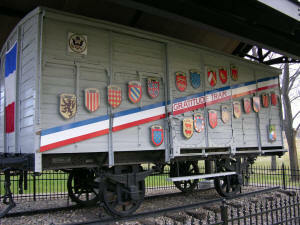 The boxcar was completely refurbished including a new coat of paint on the exterior as well as repainting the shields decorating the sides. The shelter was constructed to resemble a WW2 era French train station. The dedication was hosted by the ND Forty and Eight Society at the display site in Bismarck, and featured keynote speakers ND Governor John Hoeven and Congressman Earl Pomeroy.